Mandatory Evacuations during a Hurricane is one of the more popular reasons guests choose CSA Travel Insurance, although it is not the only covered reason. Hurricane season begins on June 1st and ends on November 30th every year, with September being the peak and most commonly active time during hurricane season. Although hurricanes can form as early as May or as late as December, it is very rare to see a storm form in those months. During hurricane season, storms can range from tropical depressions, tropical storms, to category 1-5 hurricanes. Learn more about Hurricane Season and what to expect on our blog here. 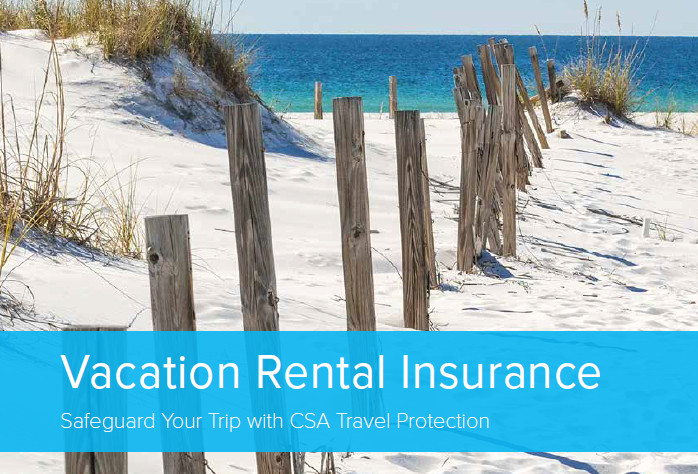 CSA Travel Protection, a Europ Assistance company, is dedicated to providing valuable travel insurance and emergency assistance services to protect travelers’ valuable investments and provide the peace of mind one deserves while traveling. CSA has developed a reputation for standing behind its customers and by offering products and services to meet their needs. Through superior customer service, extensive experience and industry-leading innovation, CSA is with its clients every step of the way, whenever and wherever they are needed. For questions about coverage, call CSA at (866) 999-4018 or View a Copy of our Brochure. We are committed to providing you with the best possible service. That’s why, if you need to cancel your plan, you may do so and receive a refund of your plan cost as long as you cancel your insurance within 10 days of purchase and have not filed a claim or departed on your trip.